In the last article I presented the proposed Constitutional Amendments and the changes contained in the Revised OLIPPAC. In this article I will look at the justifications for these proposed changes. The justifications are brief and will come under each of the changes. The purpose of this article is to show why these proposed changes are necessary. I will first present the justifications for the proposed Constitutional amendments and will be followed with the proposed changes in the Revised OLIPPAC. Freedom of Assembly and Association (Amendment of Section 47)In this proposed amendment, political parties are to impose reasonable restrictions on members of political parties. Members make up the party, therefore the party can impose some restrictions on their members. This is like any other organisations or associations that have their own rules that they impose on their members. Voting in the Parliament (Amendment of Section 114)The proposed amendment to Section 114 is to subsection 6 and subsection 7 which states that voting in Parliament shall be in accordance with the party resolution. This is important as it allow members of parties to vote togather as a group based on the resolutions reached by the party based on the majority principle. Parliamentary Privileges, etc., (Amendment of Section 115)The proposed amendment is to allow for freedom of speech, debate, voting in Parliament by MPs and shall not be questioned in any court of law. Purpose of Subdivision H (Amendment of Section 127).The proposed amendment is to allow for rules of registration, monitoring and management of political parties, conduct of executives of political parties, discipline members of political parties and fines on political parties and executives. Repeal and replacement of Section 128.This proposed amendment is to clearly define what a political party is. Section 25 (4) says that a political party must nominate 20% of the total number of candidates nominated by the party as women candidates. This proposed change is to make political parties to be more democratic/inclusive by allowing women to be members and candidates. This proposed change does not give women an upper hand over the male candidates. It only makes political parties to have 20% of its endorsed candidates to be women. Women will contest the election just like any other candidate. Section 27 (7) says that Political parties must submit their membership listing to the Registry and the Registry will check and monitor the membership every two years.This proposed change is to ensure that political parties must have members throughout the country. Parties are supposed to grow from the grassroots upwards and not top-down as the case is now. It is unthinkable to have parties without membership in the country. The Registry will be given the power to check on the membership every 2 years to ensure that the parties still have members. Section 28 (6) says that party executives who are unsuccessful in a national election and intend to hold a position as a party executive must comply with their party constitution on their reappointment. Many party executives who hold the positions of Presidents, Treasurers and General Secretaries contest elections. In the process after the elections, many resume these positions without complying with the constitutions of their respective parties which calls for the election of the party executives. The party executives do not own the party as the case is now but the members therefore seeking leadership roles must be decided by the members during the party convention. Executives must not walk out and walk in at their own will. Section 28 (7) says that Salaries, allowances and other terms of conditions will be determined by the Registrar in consultation with the Salaries, Conditions and Monitoring Committee (SCMC).The terms and conditions of the Presidents, Treasurers and General Secretaries is one area that needs tightening. These executives are remunerated by the State. However their condition of employment is not guided by any legal or administrative framework. The proposed change is to allow the Registrar to have the powers to determine their conditions of employment under the framework of the SCMC. Section 30 contains the requirement of political party to register. Subsection (4) says that a registered political party must establish provincial branches with full time staffing at least 50% of the 22 provinces.This proposed change is to make political parties to have branches throughout the country. The branches must be mend by full time staff and must be operating according to the programs of the party. Currently out of the 45 political parties, only a few have branches in only a few branches. PNG has 22 provinces and the proposed change is suggesting that parties must have at least have branches in half of the 22 provinces. Section 32 (3) [v] states that a formal agreement to be signed between the declared endorsed members and the party in a recently concluded national election to remain with the party until after the election of the Prime Minister.This proposed change is very important because it contributes to the respect that elected MPs must have towards their parties. We have had experiences where party endorsed candidates immediately leave their parties after their declaration despite using the name of the party and the resources given during the elections. Once a Prime Minister is elected then the MP can leave his/her party at his/her own will. Section 33 sets out the registration procedure of a political party. Subsection (3) [b] states the amount of registration fee of a political party to register. The registration fee has increased to K30, 000.The proposed change to the increase in the registration fee is a deterrent to people who gives little thought to establishing a party. The current experience is that citizens form parties and then forget about the party making it inactive after an election. Section 33 (3)[e] says that a political party must submit at least five of its main policies that are different from other existing parties with the application to register and also the party must submit its party structure.This proposed change is to allow parties to submit their policies that are different from the existing parties. Currently we have parties that talk about almost the same policies and makes it difficult to distinguish the parties from each other. It is also important for the parties to submit their party structure which must be based on the lines of authority as prescribed within their party constitutions. Subsection (3) [g] says that party executives must submit their CVs and police clearance. This proposed change is to ensure that party executives that are appointed must have integrity to hold the positions within their respective parties and have the relevant qualifications and experiences. Subsection (3) [h] states the process of registration of a new political party must not take more than three months. This proposed change is to allow citizens that are serious about establishing a political party to register their party within the required time. Section 33 (6) state that all political parties to renew their registration two years after the date of their registration with a fee of K15, 000 within 14 days.This proposed change is to ensure that only the serious and hardworking political parties to remain to exist. We have had political parties who were registered since 2001, contested all the elections since and did not win any seats and have remain inactive without membership throughout the country but yet are registered. This change is to off load these inactive parties out of the system. The renewal of the registration comes with a renewal fee. Section 37 (3) [e] says that an application will be rejected should a dispute or disagreement arises prior to registration of a political party.This proposed change came about through the experiences of the Registry who have to deal with newly registered parties who had disputes amongst its members prior to the registration of the party. This has caused massive problems for these parties when preparing to contest the elections with different factions putting up their own candidates. Section 46 contains provisions that deal with grounds for cancellation of registration of a political party. Subsection (1)[m] says that if a political party fails to renew its registration; subsection (1)[n] if a political party fails to resolve a prolonged dispute; and subsection (1)[o] if a political party fails to establish offices in 50% of the 22 provinces will face the consequences of being deregistered or cancelled by the Commission.This proposed change include grounds for deregistration of political parties. Some of the provisions have been highlighted earlier in the article. Section 56 (5) says that candidates who intend to contest the national elections must meet certain integrity standards to qualify.This is another important proposed change in the Revised OLIPPAC. The integrity standards will be very specific that would only allow citizens with high standards to contest the elections as candidates. This proposed change would also eliminate those undesirables who contest for some unknown reasons. Section 59 (2) says that a political party nominated candidates must be registered and be financial members of that political party not less than two years. This proposed change is radical in the sense that it would make elected MPs to have some degree of attachment to their party. We cannot continue to have elected MPs that are not members of parties and then move at their will with little considerations of the party. The membership to the party would allow the MPs to know what the party stands for and what the policies of the parties are. Section 63 contains the provisions of invitation to form Government. Under subsection (1) says that on the date of the return of writs in a general election, the Registrar of Political Parties will advise the Governor-General of the registered political party that has endorsed the greatest number of candidates declared elected in an election. The advice of the Registrar of Political Parties will invite that registered political party to form government.Subsection (2) says that where two or more registered political parties have endorsed an equal number of candidates declared elected in the elections, the Registrar of Political Parties will advise the Governor-General. 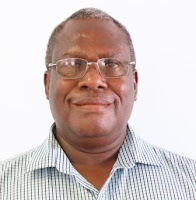 The Governor-General, acting with, and in accordance with, the advice of the Registrar of Political Parties will invite the registered political party with the highest primary votes declared in the election to form Government. This proposed change is to allow for checks and balances to the invitation to form government. Parties come under the mandate of the Registrar and the OLIPPAC therefore the Registrar should be the rightful person that would make the invitation. This proposed change is not to usurp the powers of the Electoral Commissioner but to ensure that there is separation of the roles of the Registrar and the Electoral Commissioner. Section 67 contains the provisions of funding of political party. Under subsection (2), it says that only a registered political party is eligible to receive a sum of K10, 000.00 for each MP that the registered political party successfully endorsed at the most recent general election or by-election.Section 67 (2) says that only a registered political party is eligible to receive an amount of K10,000 funding from the Central Fund and such funding shall be made to a political party, for each MP that the registered political party successfully endorse at the most recent election or by-election. Funding of political parties is to be increased from K10, 000 to K20, 000. This proposed change is to ensure that parties with MPs have sufficient funds to fund their administrative roles and responsibilities. The prices of goods and services have increased therefore the increase in funding to political parties would enable the parties to have funds that would support their operations. Section 71 (10)[a], [b], [c] and [d] contains the provisions regarding the contributions from citizens through fundraising activities by political parties and candidates must be reported to the Registry 7 days prior to the event, declare the total amount raised to the Registry and must include the amount raised in the annual financial returns. No government entities including State Owned Enterprises must donate to the fundraising activities.This provision is to allow parties to report on funds that their collect through various fund raising drives as a matter for transparency. Currently parties do not report this and the Registry could not monitor how much funds parties are making. At the same time, it is proposed that State Owned Enterprises cannot make contributions to parties at any point of time. Section 73 (3) says that a MP can leave a party and join another party but funding will still be paid to the original party; under Section 62 (4)[a] and [b] says that if the MP has left and joined another party, the MP must repay money given during elections and repay the funding to the party from CFB. This proposed change is to ensure that parties who support a candidate who wins his/her seat but then leaves the party for another would continue to receive funding from the CFB. This proposed change is to ensure that the party is rewarded for winning a seat or seats in the election. Currently we have parties who bring in successful candidates but then they depart leaving the party without any support at all. At the same time, the proposed change also says that before the departure of the MP, he/she must repay funds given to him/her during the election and also repay any funds to the CFB when he was still a member of the party. This proposed change is to limit party hopping by the MPs. Section 78 (5) says that a candidate who seeks and accepts contributions from a citizen of more than K500,000 and from non-citizens for the purpose of his election would face a fine of K10, 000. This proposed change is to allow contributions to be made according to the limits as specified by law. Elections should be contested by citizens on an equal platform and not with some parties or candidates contesting with more resources than others. There must be an equal playing field for all the candidates. This change also targets "money politics" which has come to define elections in the country. Section 81 contains the provisions of annual financial returns, under subsection (4) it says that a political party that fails to file an annual audited financial return is guilty of an offence and will be fined K10, 000 for the first year of not submitting financial returns and deregistration of the party for not submitting in the second consecutive year.This proposed change is to target parties that uses the current loophole in the OLIPPAC not to submit their annual returns in the first year but do so in the second year to avoid deregistration. In the proposed change if a party does not submit its annual returns in the first year, it will be fined and in the second year if it fails then the party will be deregistered. Section 82 on False and Defective Returns subsection (3) says that a registered political party or a successful candidate who files a defective or false return is guilty and will be fined K10, 000 or will be jailed for a term of 12 months.This proposed change is to ensure that the returns submitted must be with accurate information on the funds available and how the funds were used during the elections. The Registry is of the view that information provided in the election returns by parties and winning candidates does not reflect the amount of funds used during the elections with so much cases of bribery and the use of money for illegal practices. To conclude, the proposed amendments to the Constitution and the proposed changes in the Revised OLIPPAC are to improve the OLIPPAC and make it relevant to the changing political circumstances. The focus is basically to address some of the contested issues currently faced such as the number of political parties, making parties to become serious players in the politics of the country, ensuring that parties are grassroots organisations, making the use and raising of campaign finance to be more transparent and ensuring that parties exist and operates within the bounds of their constitutions and for them to promote democracy within their respective organisations. The experiences of the Registry in enforcing the OLIPPAC since 2002 is also taken on board. With the nationwide consultation on halt due to funding shortages, would only delay the passage of the law which is long overdue. The changes as one can see does not favour any person, any party or any leader. It is neutral and it is framed with the aim of making improvements to the current OLIPPAC and ultimately to strengthen parties in the country. For any citizens who require further explanation on the proposed changes, do not hesitate to contact the Registry on email partyregistry@ippcc.gov.pg or contact epok@ippcc.gov.pg or kpais@ippcc.gov.pg. Constructive comments are also welcome and would contribute to the wider consultation that the Registry would be undertaking shortly once funding is made available.